This event is now wait-listed. September 29 – October 1. Click here for Complete List of Trips and Workshops. Plus, there is plenty to do in charming Shepherdstown for non-plant persons, such as: an independent bookstore; cycling, kayaking, or walking the C&O Canal; restaurants and shopping; yoga; and antiques to start with! 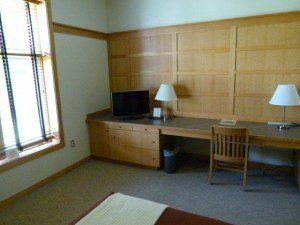 Simple, clean rooms on campus, walk to dining room, classrooms, and talks. Some field trips will be held on campus as well. The NCTC has nice hotel-style rooms in spacious lodges with lots of comfortable areas for socializing. 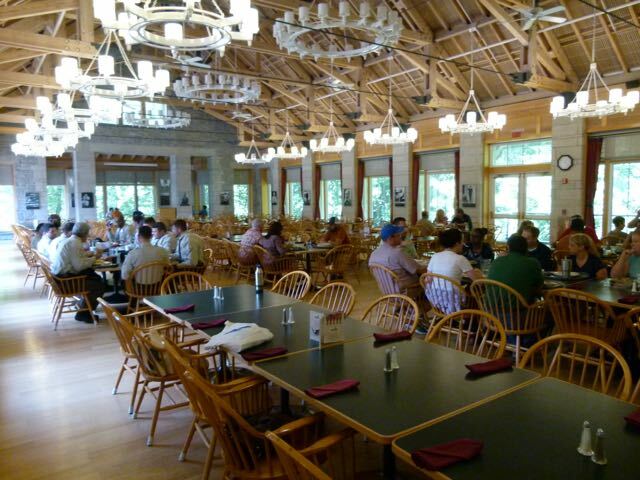 Meals in the Dining Hall are a complete buffet with many options, including several hot stations; vegetarian choices; soups; salad bar and desserts. Meals begin with dinner on Friday and continue through a boxed lunch to take with you on Sunday, six in all. Saturday lunch is at the Dining Hall, or you can opt to have a boxed lunch to take out. The Registration Fee is at a discounted price until July 31st. Price includes both Friday and Saturday nights, plus six meals. All meals from Friday dinner through Sunday lunch will be provided. No discounts for partial attendance. Off campus housing is available in nearby hotels (approx. $100/night). Those staying off campus must pay the $100 meal fee. All meals from Friday dinner through Sunday lunch will be provided. No exceptions. Fun and networking with the plant-loving world! Beautiful Dining Hall, plus lots of place to meet, talk, and network! Click here when you are ready to register.